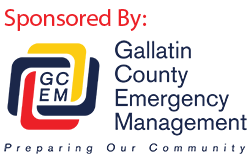 On Wednesday, September 26th the Board of Directors for the Gallatin Solid Waste Management District voted to waive tipping fees up to $2000 until January 1, 2019 for each property owner who lost buildings during the Horseshoe Fire. Property owners who lost buildings will need to provide the Logan Landfill with the property address and owner name for every load of their debris. Property information will be compared against the damage assessment conducted by the Gallatin County Sheriff’s Office to verify where it is coming from. Residents planning on taking advantage of this offer are encouraged to contract the Logan Landfill at (406) 587-7890 prior to bringing their first load to verify their information matches. Metal items such as roofs, siding and vehicles should be taken to a metal recycler while natural vegetation is encouraged to be chipped on site. Debris other than this can be brought to the Logan Landfill for disposal. More on the Gallatin Solid Waste Management District at gallatinsolidwaste.org.